Seshadri’s ’3 Sections’ is a “compelling collection of poems that examine human consciousness, from birth to dementia, in a voice that is by turns witty and grave, compassionate and remorseless,” the announcement said. A Columbia University alum, Seshadri would receive USD 10,000 reward. According to Seshadri’s biography on the Pulitzer website, he currently teaches poetry and nonfiction writing at liberal arts college Sarah Lawrence in New York. 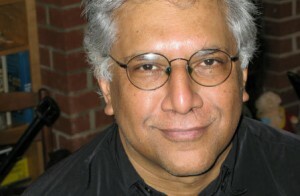 Born in Bangalore in 1954, Seshadri came to America at the age of five and grew up in Columbus, Ohio. Seshadri has received grants from the New York Foundation for the Arts and the National Endowment for the Arts, and has been awarded the Paris Review’s Bernard F Conners Long Poem Prize and the MacDowell Colony’s Fellowship for Distinguished Poetic Achievement. Seshadri is the fifth person of Indian origin to bag the prestigious award, the first being Gobind Behari Lal in 1937. Lal, a science editor, was awarded the Pulitzer in the Reporting category for his coverage of science at the tercentenary of Harvard University when he was working for Universal Service. He died of cancer in 1992. Journalist-writer of Indian origin Geeta Anand was the next to get the award. Anand was the investigative reporter and feature writer for the Wall Street Journal and won the award in 2003 for “clear, concise and comprehensive stories that illuminated the roots, significance and impact of corporate scandals in America”.